offered by AriaMedTour in all-expense tours at the most decent prices. Feeling frustrated with your partner’s constant complaints of your loud snoring at night? You can’t do anything about it while you’re asleep and unconscious, but you can do one thing when you are awake. Sleep apnea surgery is a real solution to your snoring problem. 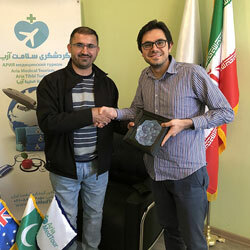 We at AriaMedTour help you get rid of your annoying habit by organizing an all-inclusive trip to Iran for you to get an affordable sleep apnea surgery at the best hospitals and clinics. For more information and a price quote, fill out the above form, and to learn more about sleep apnea treatment, continue reading. Before we go through sleep apnea surgery options, we must first explain the definition of sleep apnea. Many people consider snoring as an embarrassing or non-important matter, but when loud snoring accompanies daytime fatigue, it may signal a more serious problem called sleep apnea. In this sleep disorder, a person’s breathing unintentionally stops and is interrupted several times during the night. Shallow breathing, uncontrollable pauses in breathing pattern are all sleep apnea symptoms. At times, it causes the person with this disorder to wake up startled. As a result of pauses and breaks in normal breathing, less oxygen is spread to the brain and throughout the body, once the airway is opened and the signal for breathing is received, it triggers the person with this sleeping disorder to snort, take a deep breath, or even wake up with a feeling of choking, smothering and gasping for air. This will cause an unrefreshing sleep, which will result in daytime exhaustion, affects relations with others, and threatens one’s health. This may occur about 30 times during one hour of sleeping, and one may not be aware of hundreds of breathing pauses that happen during the night, which ruins the sleeping rhythm and causes daily fatigue, and the person may not think of a specific reason for the state he/she is in. All they know is that they feel fatigued, unenergetic, irritable, mentally and physically non-productive, with a puffy face upon waking up. Chronic sleep deprivation results in daytime fatigue, poor concentration and makes a person more prone to accidents. This is why it’s critically important to be treated for sleep apnea. If a person snores, it doesn’t mean they have sleep apnea and if a person has sleep apnea they don’t necessarily snore. The most specific sign of sleep apnea is daytime fatigue and a lack of energy. Normally snoring does not interfere with sleeping pattern and as a result, it does not cause fatigue and sleepiness during the next day. Although sleep apnea must be diagnosed by a professional, a bed partner observing another person’s sleeping habits, recording one’s own sleeping process and comparing them to the list of symptoms we mentioned earlier, may be of great help in seeking for professional help and treatment. In order to confirm that someone has sleep apnea, a test called “Polysomnogram” is required. This test consists of multiple tests that monitors, records and transmits the body’s activity during sleep. Some surface electrodes will be placed on the person’s forehead and scalp to record electric signals, and two belts, one around the waist and the other around the chest to monitor and record the breathing pattern. An oximeter is placed on a finger for measuring the existing amount of oxygen in the blood while sleeping. The health professional will then study and analyze the records and decide whether the person has sleep apnea or not. This test can be performed, in a lab, in a hospital or even at the comfort of someone’s home. There are both natural treatments and devices- or surgery-based treatments for sleep apnea. Natural treatments include lifestyle changes in general, such as weight loss, quitting smoking, quitting drinking, etc. Here we will only name the treatments and discuss more the various sleep apnea surgeries. CPAP (continuous positive airway pressure) which refers to keeping the airways open and by a gentle and constant stream of positive pressure air is breathed through a mask. 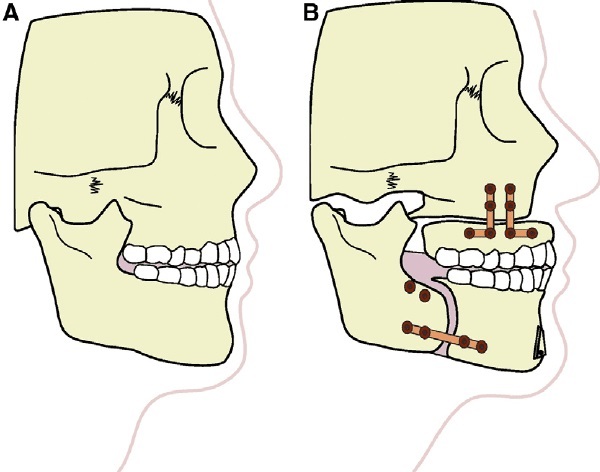 MRD (Mandibular repositioning device) which increases the space behind the tongue by holding the jaw in a forward position. Side effects of this treatment may include, tooth and jaw pain. Surgery: Numerous surgeries are performed to widen the airways, remove the obstructing tissue, remove enlarged tonsils. Sometimes the person may need to undergo both surgical and non-surgical treatments. This type of sleep apnea surgery is the operation of the anterior surface of the soft palate and targets the back of the roof of the mouth. During this procedure, the excess tissue in the throat will be repositioned and removed in order to make the airway wider. The soft palate and uvula can be trimmed and pharyngeal arches and the tonsils may need to be removed and some of the muscles of the throat repositioned by the surgeon. 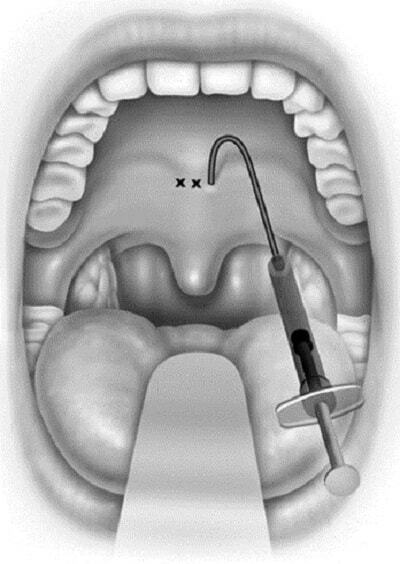 In this surgery, the uvula is folded towards the soft palate. The downside of UPPP is that, although it is the most commonly used type of procedure for sleep apnea treatment, it will not cure the moderate to severe cases of sleep apnea, and the person may need to undergo surgeries of upper respiratory system that targets other sites in the upper airways, or they might also need to continue using non surgical treatments. Sleepiness and periods of not breathing which are not related to sleep apnea itself, and are directly related to the medicines that are being taken for pain relief. This radiofrequency ablation is used for mild to moderate cases of sleep apnea. In this procedure, the tissue around the throat will shrink and tighten by controlled cauterization method. This can also be performed on tongue, tonsils and soft palate. Septoplasty is widely used to help with the obstruction of the nose. Septoplasty is sometimes an essential part of other surgeries such as sinus surgery or nasal tumor removal. 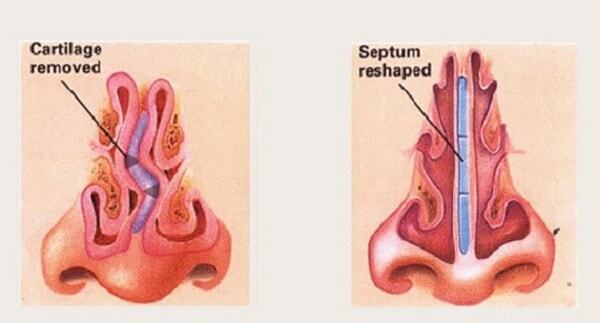 The septum is the divider between the two sides of the nose and is made of bone and cartilage. This bone and cartilage is covered with a layer of mucosa, which acts like a skin for the inside of the nose and protects the bone and cartilage. When the septum is deviated, it can block the nose. With these two procedures, the nasal passage is opened and airflow through the nose is improved, by straightening the deviated nasal septum, which means straightening the bone and cartilage. During this sleep apnea surgery, the mucosa has to be lifted in order to allow access to the bone and cartilage. The cartilage and bone can be reshaped and sometimes some parts of it has to be removed, and then the lining (mucosa), is laid back down. This part of the nose, the septal cartilage, has memory so it may assume it’s the previous shape, and bend back to its original shape after the surgery. This sleep apnea surgery is done in the operating room and under anesthesia. This operation is usually done under general anesthesia but if there is an option for local anesthesia the doctor will discuss that with the patient and help him/her decide which option to choose. There will be pain, nasal stuffiness and a mild nasal drainage after the surgery but the pain tends to be mild and can be controlled by taking oral pain medications. The reason for a feeling of stuffiness is swelling inside the nose after the surgery, which will gradually improve after the surgery. The drainage is mucous and blood which is normal during the healing process. As post-surgery care, it may sometimes be needed to use saline sprays and irrigations, but these and other post-operative cares must be instructed by the doctor. Turbinates are the curved structures inside the sides of the nose, which are made of bone and soft tissue. Soft tissue or bone might be enlarged for a number of reasons, such as allergies. The most bothering situation is when the soft tissue is enlarged and swollen and it’s called hypertrophic turbinates. Medical options are also available to help reduce the size of turbinates. But the other option is the turbinate reduction surgery. In many cases, turbinate reduction and septoplasty are done alongside each other. In the turbinate reduction surgery, it’s important not to remove all of the turbinate, because it will indeed affect the function of the turbinates and complete removal of it results in a crusty and very dry nose. Turbinate can grow back after the surgery, so the operation may need to be repeated if necessary. Some turbinate reduction surgeries do shrink the size of the turbinate without removing the soft tissue or turbinate bone. Operations such as cauterization, coblation, and radiofrequency reduction. In these procedures, a part of the turbinate is heated up with a special device. Gradually the scar tissue takes the shape of the heated part of the turbinate and causes the turbinate to shrink in size. With other procedures, a part of turbinate is removed, but it’s important to leave a significant amount of turbinate intact, to help humidify and warm the air that passes through the nose. Just like septoplasty, the patient can expect nasal stuffiness, pain, fatigue and nasal drainage. The pain can be controlled with normal pain medications, the stuffiness comes from swelling of the inside of the nose, and the drainage is related to blood and mucus coming out of the nose, which is also normal in the healing process. The tongue is composed of muscles. These muscles can relax while sleeping and fall back and causes blockage in the throat and tongue area. Genioglossus is the largest muscle of the tongue, located in the center and is attached to the lower part of the jaw and below the teeth. In this procedure, a small hole or bone cut is made in the front part of the lower jaw. This bone cut along with the genial tubercle is moved forward and is attached to the lower jaw, either by a single screw, plate or a number of screws. This sleep apnea surgery is done alongside other sleep apnea surgeries and treatments and it’s rarely done on its own for treating this sleeping disorder. Hyoid suspension is also known as hyoid myotomy or hyoid advancement is another type of sleep apnea surgery. There’s a U-shaped bone in the neck, the tongue and other parts of the throat is attached to it. 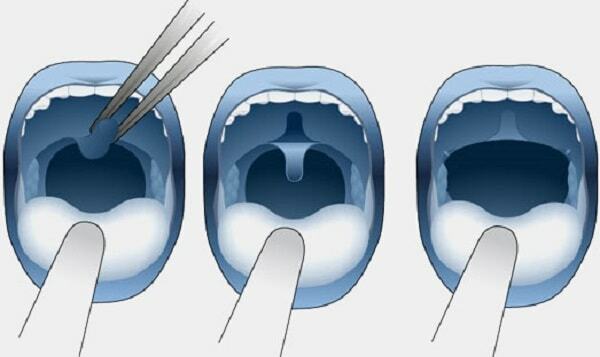 In this procedure, the hyoid suspension is pulled forward and secured in a proper place. In some cases of sleep apnea, it’s advised to remove a part of the back of the tongue with a surgery called midline glossectomy or submucosal lingualplasty. This procedure prevents blockage of the airway by making the tongue smaller and is done under general anesthesia. Except for a small incision on the neck for placing a plastic drain, there are no other external incisions and this surgery is done through an open mouth. These two surgeries are not common. This type of sleep apnea surgery is used for severe cases of sleep apnea. Maxillomandibular advancement or orthognathic surgery which is sometimes called bimaxillary advancement, or maxillomandibular osteotomy, is a sleep apnea surgery which moves the maxilla (upper jaw) and the mandible (lower jaw) forward. This surgery is usually done simultaneously with genioglossus procedure. This procedure involves cutting a part of the jaw which will heal over time and in the course of months. The patient’s jaw will be wired shut for a few days after surgery. This sleep apnea surgery is the most effective surgery for sleep apnea, but it’s usually not the first option and is chosen after previous failed treatments. Recovery time for this procedure is usually longer, comparing to other sleep apnea surgeries. This surgery is more difficult for the surgeon to perform, and the recovery process is also difficult for the patient. This sleep apnea surgery is used to cure snoring and in people with mild sleep apnea. This procedure can be done under local anesthesia and conscious sedation and in the doctor’s office. Tiny pillar implants, about 18 millimeters in length and 1.5mm in diameter, are inserted on the soft palate, preventing airway blockage by stiffening the tissue. This procedure is simple and effective. Bariatric surgery is recommended for obese people who also have other health concerns and simultaneously helps with sleep apnea (OSA) problem. The disadvantage of this procedure is that it’s less effective. 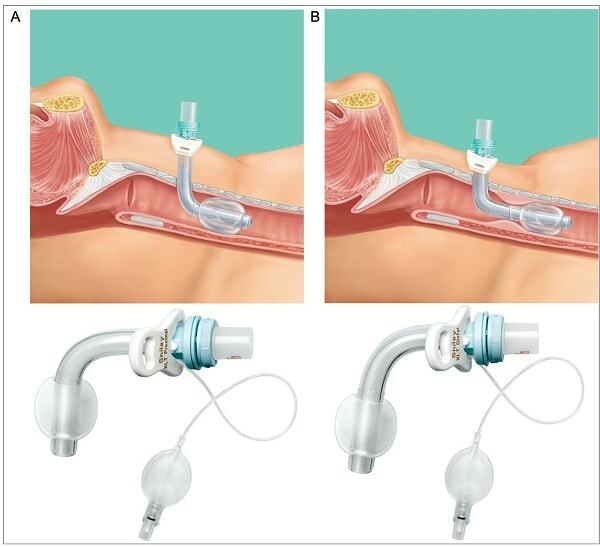 In this sleep apnea surgery an alternative airway is provided by surgically creating a hole in the windpipe (trachea). Then a trachea tube is place inside the hole and is secured by a strap around the patient’s neck. This procedure is really effective but because of the invasive nature of this operation, it’s rarely chosen as the first option of treatment unless other treatments have been failed and this is the only remaining option. During the day, the tube can be inserted to help the patient with breathing and at night it can be opened and let the patient breath on their own and without any blockage in the throat. 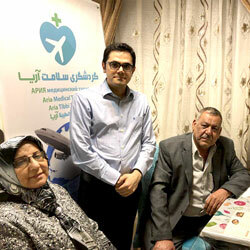 Various sleep apnea surgeries are done in Iran. In order to find out which method is best suited for a patient, they should undergo a few tests which help the doctors detect the exact cause of the sleep apnea. One of the novel techniques, which is also being utilized by Iranian doctors, is using an endoscope to examine the upper respiratory tract and find the airway obstructions that cause sleep apnea. ENT specialists in Iran offer sleep apnea surgeries at hospitals and specialized clinics in Tehran, Mashhad, Isfahan, Shiraz, Tabriz, and Kish Island. The cost of sleep apnea surgery in Iran is much lower than in other countries. While it might not be wise to travel to Iran for a mere sleep apnea surgery, you can get this treatment while you are in Iran for other major treatments. If you are considering a medical or cosmetic treatment in Iran, for example, a rhinoplasty, while at the same time you suffer from snoring problem (your bedmate suffers more, actually! 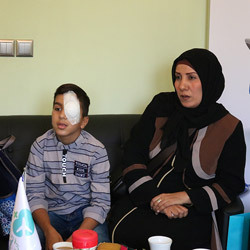 ), you can plan for a medical trip to Iran to kill two flies with one slap. ENT doctors in Iran, including those expert in cosmetic surgeries, are able to do sleep apnea surgery by various methods depending on your condition.